Grain-effect leather uppers, a rubber outsole, padded collar and tongue for extreme comfort as well as removable insoles. 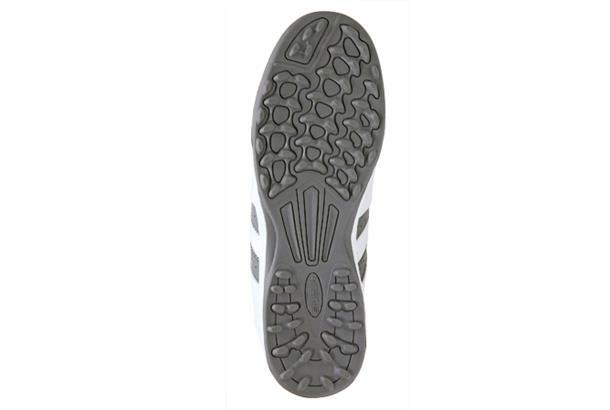 As reviewed in our 2014 Shoes Test: Look like plimsoles or trainers, shape seems to dig in at the heel due to angular design, quite roomy in the midfoot – wide but comfy, relaxed fit. Plenty of obvious padding on show.You get the comfort you want out on the course. 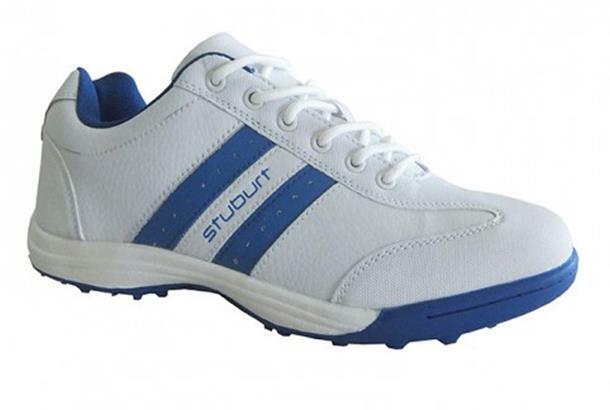 Plain, sporty style will appeal to a wide range of golfers and there’s enough traction to give you confidence when playing from sloping lies.